Wiehl, 17.4.2018 --- The internet of things is prompting a surge of innovation in business and industry, but how can those who are embarking on a career prepare for the future? A good place to start is to join the training programme of an innovative enterprise such as BPW. As an innovation leader of the transport industry, BPW harnesses its expertise in IT and mechatronics for the benefit of its trainees. It’s a proven pathway to success – BPW was recently recognised again as one of the best training companies in Germany. BPW Bergische Achsen KG officially ranks among the best training companies in Germany according to an independent survey conducted by Deutschland Test with the academic support of Prof. Werner Sarges. The research was commissioned by the business magazines FOCUS and FOCUS MONEY. The results are based on a poll of Germany’s 20,000 largest companies, measured by the number of employees. An Apprenticeship Atlas for Germany, produced from the data, once again shines the spotlight on Wiehl in North Rhine-Westphalia, where BPW Group has its headquarters. Alongside its 1,600 employees at HQ, the company is currently training 115 talented young recruits in a variety of disciplines, including IT, business administration and mechatronics. The success rate is high – 99 percent of trainees to date have passed their examinations, and no fewer than 64 percent have achieved very good or even better marks. An impressive 95 percent of trainees have accepted full-time posts with the company. BPW’s offering of training places in combination with study for professional qualifications, and the availability of its own training centre with outstanding facilities for a variety of occupations, were among the highly rated factors when it was being assessed. It also supports trainees who wish to spend time abroad during their apprenticeship. Around five years ago, moreover, BPW initiated a special programme for young people who leave school without the grades required for an immediate transition to training. 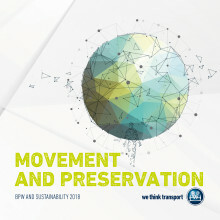 Note: More information on BPW as an employer is contained in the company’s current annual reportand sustainability report. 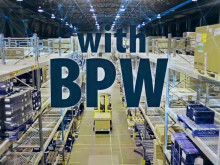 BPW belongs to an elite group of enterprises in Germany that are spearheading the digital transformation of products, applications and processes. 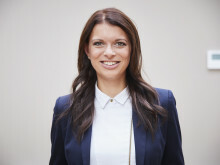 The business magazine Focus Money and its research institute Deutschland Test have now recognised BPW as one of the leading Digital Champions: The Hamburg Institute of International Economics assessed around 10,000 companies for the ranking exercise. For many years BPW Bergische Achsen KG has ranked among Germany’s top employers, as recently reconfirmed by the magazine Focus Business. It has now been recognised as the fairest employer in its industry. The accolade is the outcome of a new ranking produced by Faktenkontor with academic support on behalf of Focus Money and Deutschland Test. Its certificate of compliance with IATF 16949 standard enables BPW to consolidate its position as a quality leader in the commercial vehicle industry. The award also cements its position among the world’s elite automotive suppliers. The certification serves as a milestone not only for the company, but also in the run-up to the launch of the electric axle drive eTransport.